Hot off an appearance in the first-ever College Football Playoff National Championship, Mark Helfrich and staff have not wasted anytime in building the Ducks’ already outstanding recruiting class. 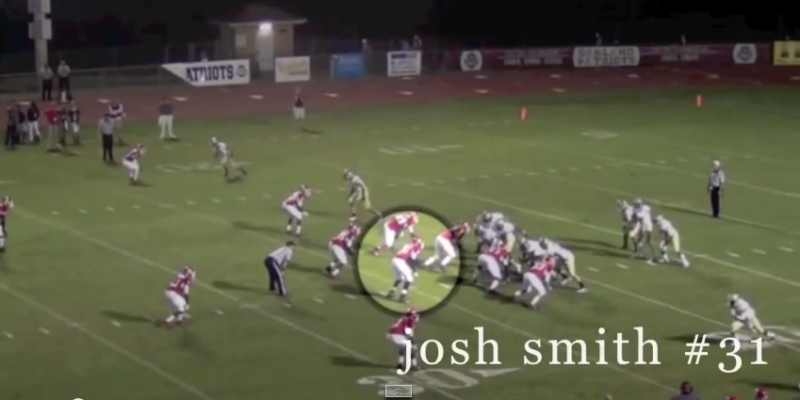 Earlier today, 247sports.com reported that Oregon has extended an offer to Top 100 linebacker Josh Smith. Smith is considered by many to be one of the best linebacker recruits in the country this year. The 6’3, 230-pound linebacker from Murfreesboro, TN, has verbally committed to Vanderbilt, but has yet to enroll in classes, meaning he can still field other offers in the time leading up to National Signing Day on Wednesday, February 4. Smith is a big body linebacker, someone the Ducks could really use. He might be pretty big already, but Smith has the room to add on more weight to his frame. The Ducks have been known to go after tall, athletic guys on defense, and Smith certainly fits that mold. With an already stacked list of recruits on defense, including 5-star Hawaiian monster Canton Kaumatule, landing Smith would be huge for the Ducks moving forward. So many people are focused on the offense, and what it will look like next year without Marcus Mariota. On the other side of the ball, the defense is losing Ifo Ekpre-Olomu, Tony Washington, Derrick Malone, Troy Hill and Arik Armstead, just to name a few. Landing a big-time commit such as Smith would help secure the Ducks’ defense for years to come. Stay tuned to FishDuck.com for all football-related news, as we are just over two weeks away from National Signing Day.